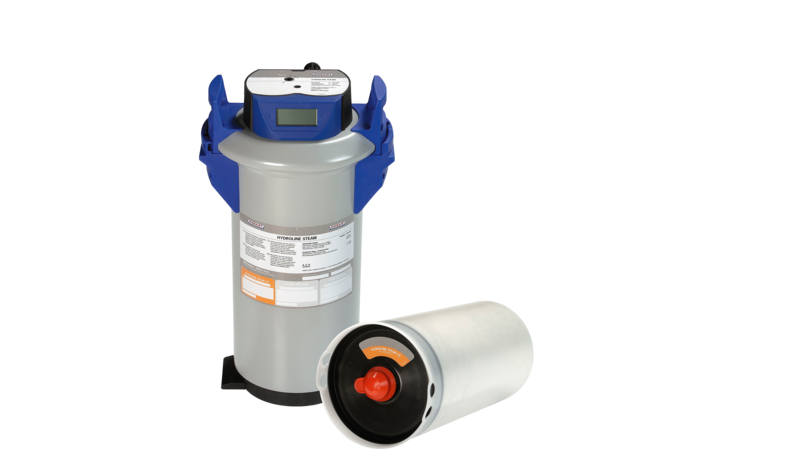 Full demineralisation cartridge: Calcium, magnesium and sodium ions contained in the water are substituted. This prevents salt and limescale stains on dishes, glassware and cutlery and optimises the effectiveness of detergents. 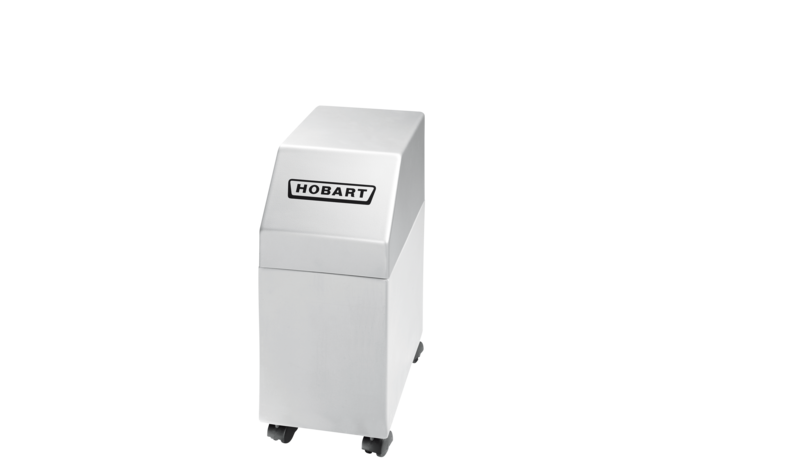 Partial demineralisation cartridge for combi steamers: Protects cooking equipment like steamers and ovens against limescale deposits. With the integrated reverse osmosis system the machine perfectly fits under the counter (total height of only 815 mm). 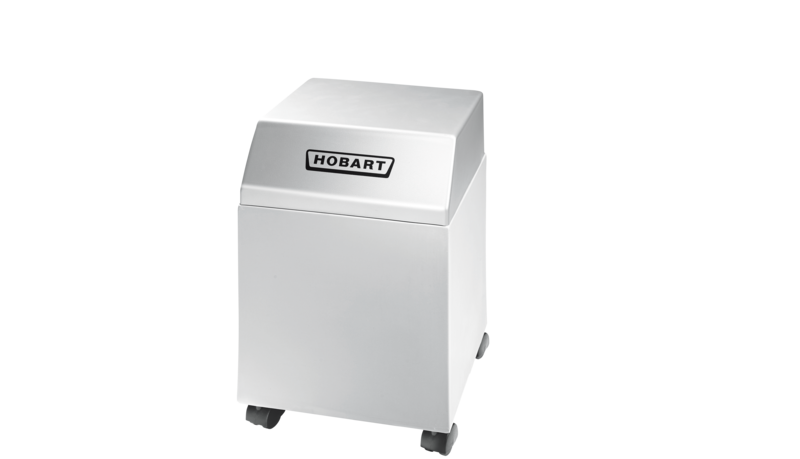 It provides demineralised water, preventing the machine from limescale deposits and the dishes from visible stains. 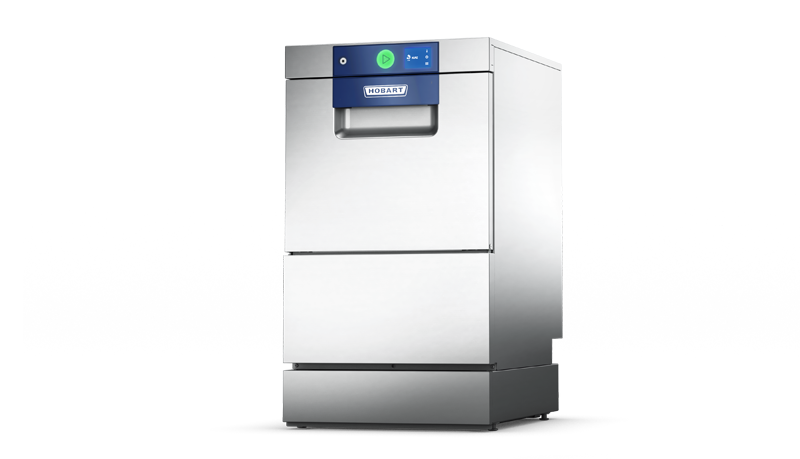 The free-standing reverse osmosis system is suitable for installation next to the dishwasher. Minerals and salts are completely removed from the water. This prevents salt and limescale stains on dishes, glassware and cutlery and optimises the wash result. 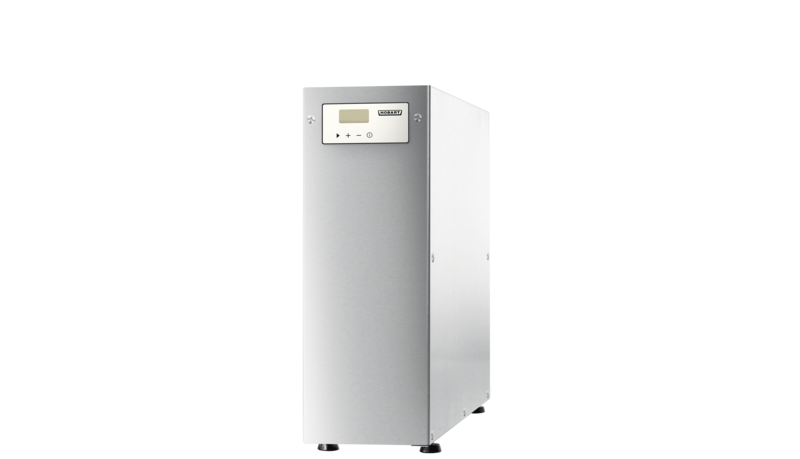 For even more efficiency: The powerful external reverse osmosis system HYDROLINE PURE RO-C provides demineralised water for top-quality wash results. No need for manual polishing of glasses and cutlery. Single-chamber water softener: Protects machines against limescale deposits and extends maintenance intervals and service life. 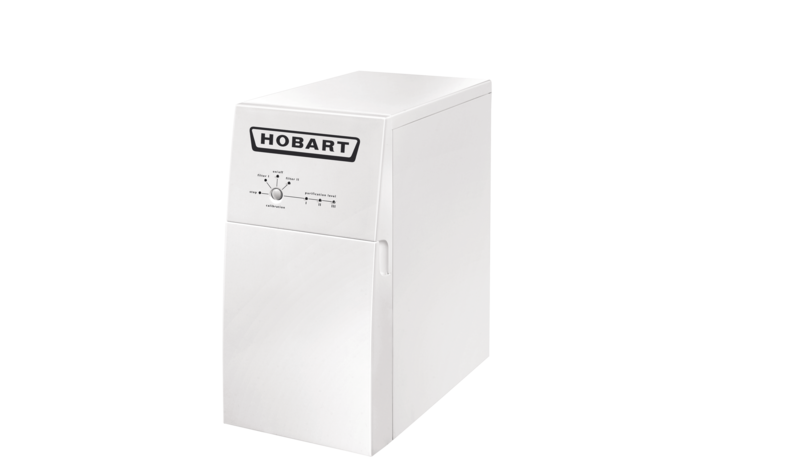 Double-chamber water softener: Protects machines against limescale deposits and extends maintenance intervals and service life by supplying soft water non-stop. Partial demineralisation cartridge: Calcium and magnesium ions are removed from the water, which protects the machine and prevents salt and limescale stains on the wash ware.